Buy Tickets and Sponsorships HERE! 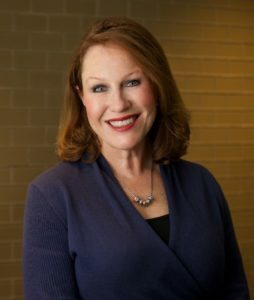 We are thrilled to welcome Alison Anthony, President and Chief Executive Officer of Tulsa Area United Way (TAUW), as our luncheon speaker. Alison’s commitment to the betterment of our community and her specialty in strategic leadership will provide inspiration to our scholarship recipients and Mentorship Luncheon attendees. The 2019 Mentorship Luncheon marks an opportunity for the Junior League of Tulsa to honor its annual scholarship recipients. The League is proud to award two Founders’ Scholarships to graduating high school women who demonstrate an exceptional commitment to academics and voluntarism and two Mrs. W. Albert Cook Scholarships to nontraditional students—women returning to their studies after an absence, or just beginning their higher education—based primarily on financial need and a commitment to completing a degree. The proceeds from the luncheon will help us fund $10,000 towards our future scholarship program and support our mission of training and developing women leaders and highly effective Tulsa community volunteers.